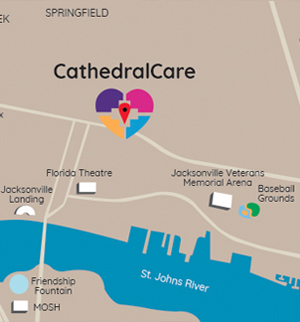 Located in the heart of Jacksonville, CathedralCare, formerly Cathedral Gerontology Center, provides a comfortable, nurturing environment for patients to regain their health, mobility, and independence after a heart attack, orthopedic surgery, car accident, or other life changing event. Our interdisciplinary team works with our patients, their family, and their doctors to create a care plan that addresses their daily medical, physical, social, and psychological needs. Our goal is to improve our patients’ quality of life. 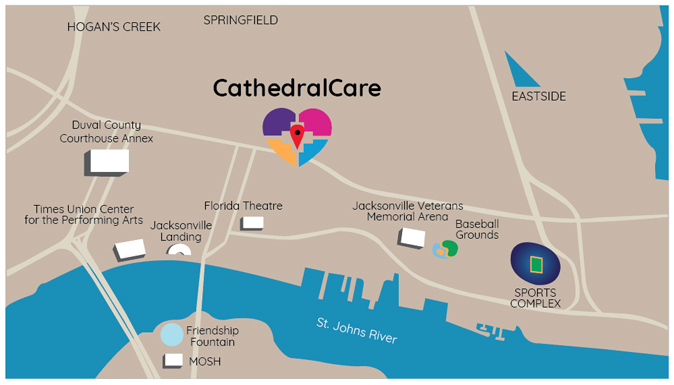 CathedralCare offers a full continuum of care, from temporary respite care, to long-term skilled nursing, to hospice services. 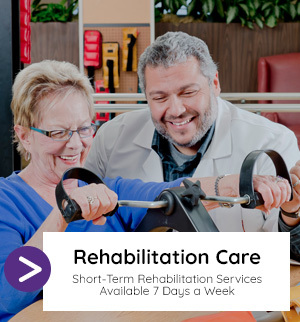 We also provide exceptional short-term rehabilitation and a range of specialty programs and complex clinical services, thanks to our team of in-house clinicians and trusted therapy professionals. 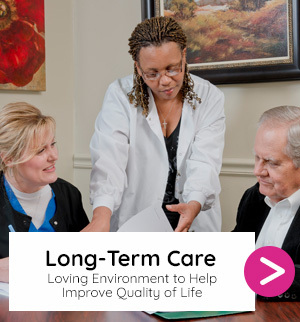 When combined with our compassionate, personalized approach, these capabilities have helped establish our long-standing reputation for total excellence in senior care. Our leadership has decades of experience. We pride ourselves on having very low turn-over. We offer competitive benefits packages, continued education programs, and a positive, encouraging work environment.